So you’ve decided to study abroad in Spain. Excellent choice. Not only will you have adventures of a lifetime, but you can also brush up on your Spanish language skills as well – something that will be more useful in the U.S. compared to other European alternatives. 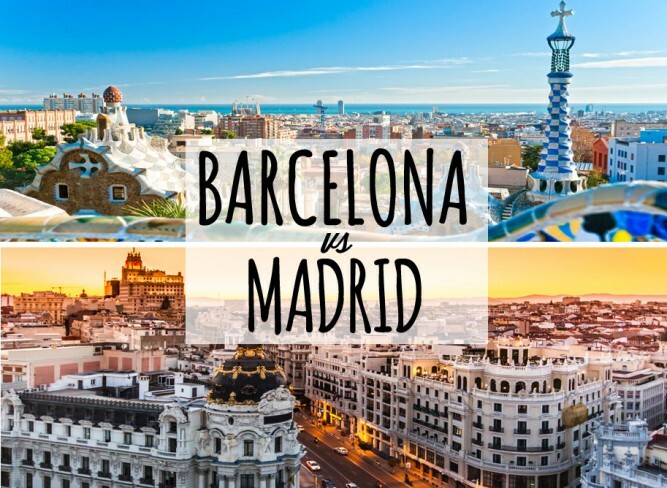 Now for the big decision: Barcelona or Madrid? Yes, Barcelona implores a certain mystique, and popular opinion may suggest that the party city by the beach may be the better option. But not so fast. Hold your horses. Here are five reasons why you should bypass Barcelona and move to Madrid! Barcelona is an international city that has become an increasingly popular tourist destination over the last decade. In 2016, Barcelona received approximately 18 million visitors throughout the year. The result: crowded streets, expensive prices, and a diffusion of culture. A local recently told me, with a sad shake of his head, that tourism was ruining his town. It is overrun with foreigners and every year loses a little bit of its initial Spanish charm. Madrid, on the other hand, is truly a Spanish city. It received only 5.7 million visitors in 2016. The result: Madrid offers a more authentic, local experience. Sure, any metropolis, including Madrid, has felt the effects of globalization; sadly, McDonalds and Starbucks exist here as well. 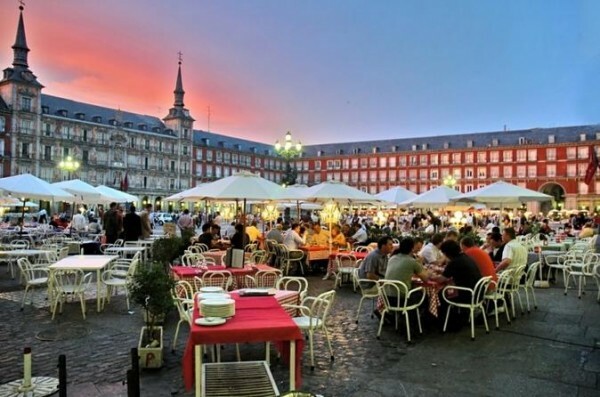 But since Madrid’s tourism is significantly lower, chances are at any given time, you will be surrounded by a higher percentage of Spanish locals, Spanish food, Spanish fashion, and the Spanish language. 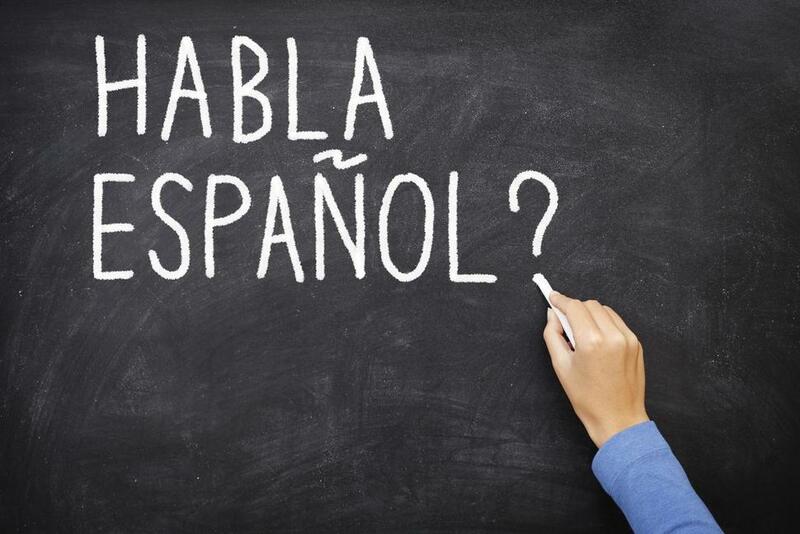 Speaking of language, did you know that five languages are spoken in Spain? Galician, Basque, Aranès, Castilian, and Catalan. Castilian Spanish is the official language of the country. This is the traditional Spanish found in Central and South America; it is the Spanish that you learned in the U.S. classroom. Almost everyone in central and southern Spain speaks the Castilian language in their everyday lives. But be warned – if you travel south, the local accents are so thick and they drop so many syllables that it is almost impossible for native speakers to understand! And if you travel north or east, the locals may be speaking a completely different language! Luckily, they say people in Madrid have a clear and neutral Castillian accent. So if you are interested in improving your Spanish before returning to the States, Madrid is where you want to be. Whereas Barcelona has two official languages: Castilian and Catalan. Catalan shares a commonality with French, and when in Barcelona, you will find this language in schools, on street signs, menus, etc. Personally, I have a hard enough time learning ‘normal’ Spanish, so throwing an extra language into the mix sounds way too complicated. · Bilbao (far north) to Málaga (far south) takes 8 hours & 30 minutes. · Madrid (central) to Málaga (far south) takes 5 hours & 22 minutes. · Madrid (central) to Barcelona (northeast) takes 6 hours & 40 minutes. That being said, Madrid is all about location, location, location. It is smack in the middle of the country, which means that it is a major hub for trains and busses and that it offers easy, fast, and often inexpensive options for exploring surrounding areas. 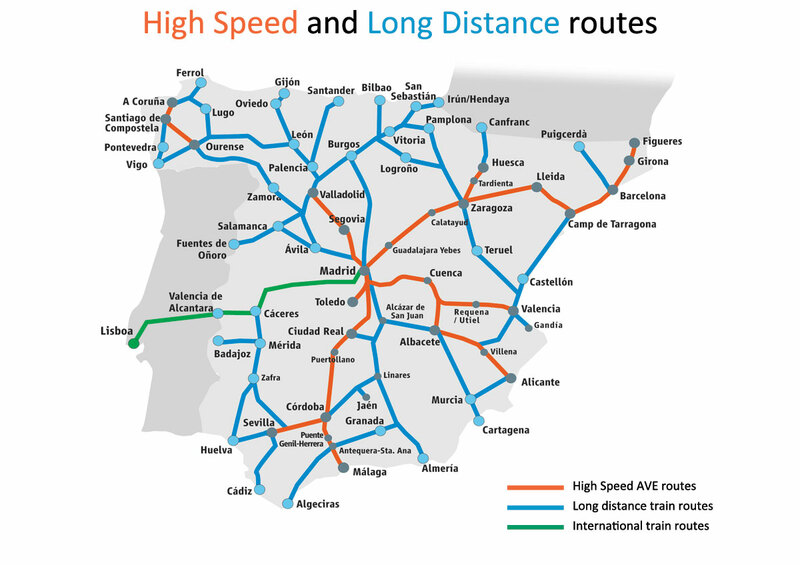 In fact, Madrid is connected to 7 high-speed railways, which can definitely get you to where you want to go. For example, in a high-speed train from Madrid, you can reach the beautiful southern city of Málaga OR the Mediterranean coast of Barcelona in 2.5 hours – take your pick. Barcelona is situated on the northeast coast and only connects with one high-speed rail line. From Barcelona, reaching other major Spanish cities by car, bus, or train is time-consuming and, given the circumstances, flying is most likely the best bet. Both Madrid & Barcelona are full of cultural activities including museums, cathedrals, parks, comedy shows, stores, restaurants, etcetera. But, some of Spain’s best highlights are found in Madrid, and you will ultimately be able to get more bang for your buck. 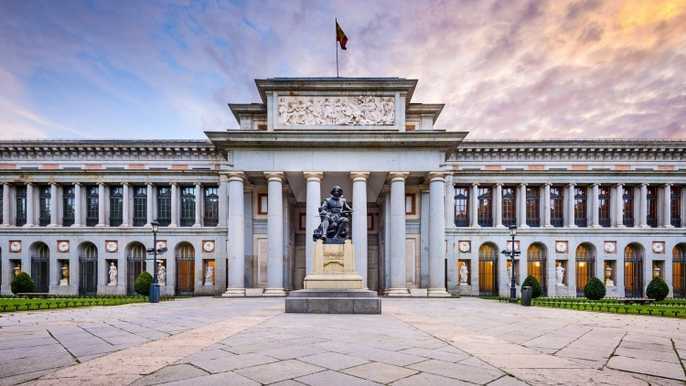 Madrid is home to 59 museums including three world-famous jewels: (1) The Prado Museum, which rivals the Louvre for pre-20th-century art; (2) the Reina Sofia, featuring Picasso’s masterpiece Guernica; and (3) the Thyssen-Bornemisza, one of the best private art collections in the world. And on certain days, entrance to these museums are free. Other unique features of the city are the Royal Palace of Madrid, the official residence of the royal family containing over 3,000 rooms, and the Temple of Debod, an Ancient Egyptian shrine from 200 B.C. that was relocated and rebuilt in Madrid in the early 1970’s. Granted, Barcelona’s Park Güell, which was designed by the surrealist artist Gaudi, is a unique treasure in itself, but unfortunately, entrance costs €7. Access to Madrid’s Retiro Park is free. . . and it has live peacocks. Just sayin’. And while you may be drawn to Barcelona’s “beach,” you should know that this playa is small, man-made, and unremarkable. Coarse sand has been imported from Egypt, and besides providing an area to lay out on a towel in the summer, it offers little else in terms of beauty or insta-potential. In 2017, there has been a dramatic increase in separatist tensions in Barcelona. 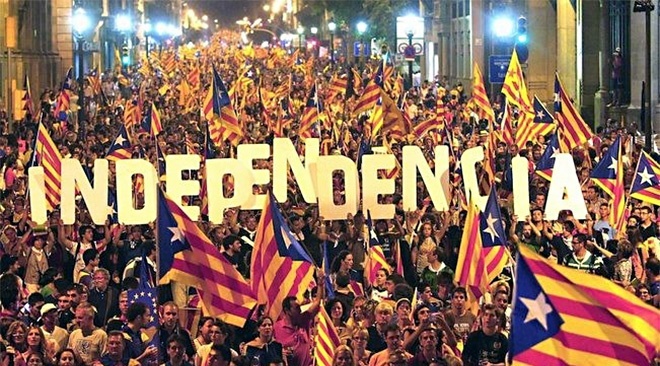 The proud people of the region of Catalonia have been calling for independence from Spain for decades, citing differences in language, traditions, and economic prosperity. In October 2017, the pro-independence party in the region held an unrecognized, illegal referendum to vote on independence, which didn’t go well, to say the least. The national government intervened by sending national police, the Guardia Civil, who ended up beating groups of voters and protesters at some locations. Immediately after, the central government of Madrid seized political control of Catalonia removing their former leaders and right to self-govern. The whole thing was a mess, and you can read more about this complex issue here. At this point, besides the occasional protest, expatriates in Barcelona are reporting that it is business as normal in their city and that they do not feel unsafe in any way. 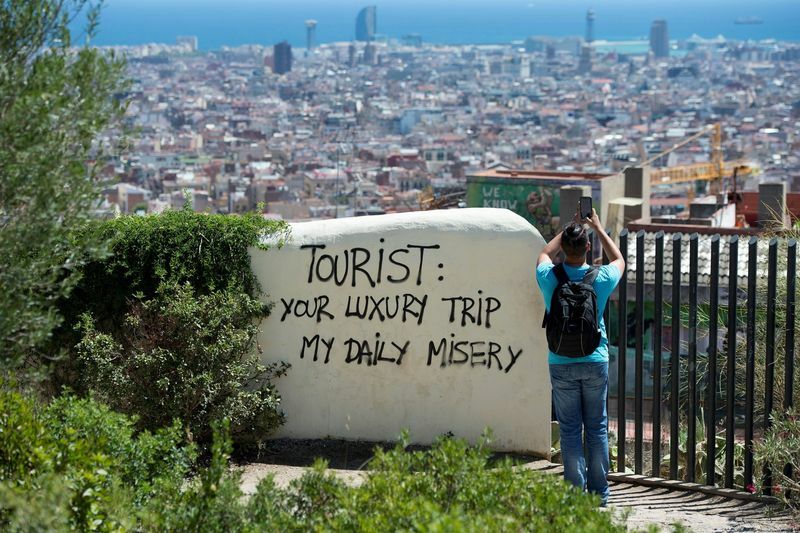 Even so, tourism to Barcelona has recently declined due to the political uncertainty. It may be that the conflict has been resolved, but perhaps not. The independence movement of Catalonia is definitely something to consider before selecting your plane to Spain. Well, honestly, Barcelona and Madrid are both excellent cities with charm, diversity, adventure, and a lot of daytime and nighttime activities to offer. (Yes, Barcelona is famous for being a party town, but if it is nightlife you seek, I assure you that Madrid parties just as hard or more so. They don’t call Madrileños ‘gatos de la noche’ for nothing). In the end, the choice is yours and you are bound to have a wonderful experience studying abroad no matter where you end up. But hopefully, you will find yourself speaking Castilian Spanish with locals among the winding streets and beautiful museums of Madrid.